Turtle Cheesecake is rated 4.9 out of 5 by 13. Rated 5 out of 5 by FlaDeb from SO GOOD! I sent this to my son's office for a party last year at Christmas and it was so good his friends asked if I could send it again this year and I did! Rated 5 out of 5 by Stacieer from ABSOLUTELY TO DIE FOR!’ I purchased this cheesecake because I love this cake. It’s the first time but not the last time I buy one...highly recommend. Rated 5 out of 5 by Kc53 from Great gift I sent this as a birthday gift. It arrived on time, was well packaged and I am told it was delicious. Thank you. Rated 5 out of 5 by Joyful mother from Great long distance gift! We sent this to my brother for his birthday and it arrived on time. He said the taste was fantastic. We would do it again!! Rated 5 out of 5 by Sharon55 from Excellent service! This was a gift & it arrived exactly as stated. And I was told that the cheesecake was delicious! Rated 5 out of 5 by Linda_Memphis from Best Cheesecake ever! This is my family's favorite cheesecake. It arrived perfect! 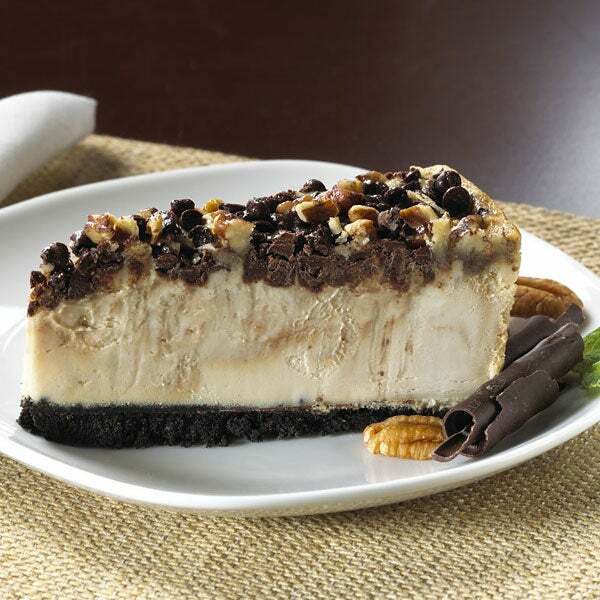 You have been warned…turtle cheesecake is a sinfully delicious melt in your mouth dessert. Heaps of smooth cream cheese, fresh eggs and real cream are blended perfectly together and laid to rest on a delectable chocolate cookie crust. 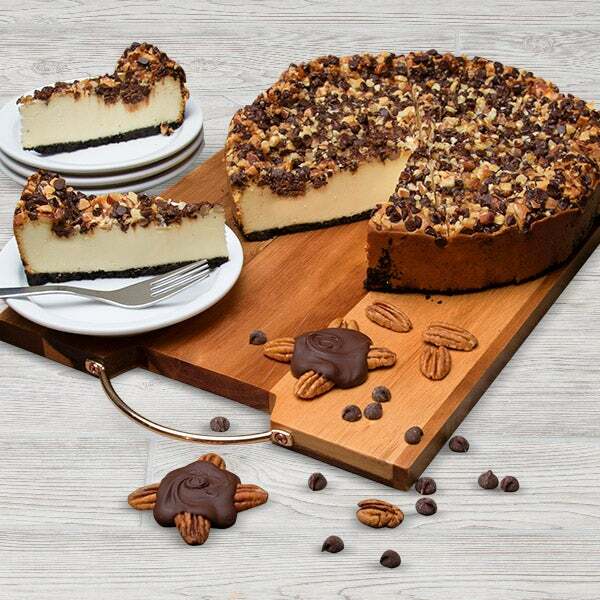 The perfect amount of buttery caramel, bittersweet chocolate chips and toasted pecans top off this mouth-watering treat to make it truly a piece of cheesecake heaven and the perfect gift of cheesecake!